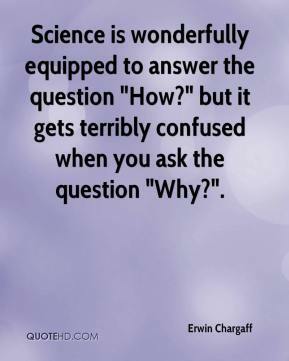 Science is wonderfully equipped to answer the question "How?" but it gets terribly confused when you ask the question "Why?". 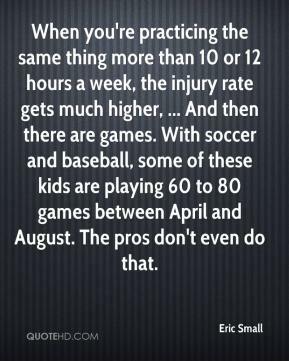 When you're practicing the same thing more than 10 or 12 hours a week, the injury rate gets much higher, ... And then there are games. With soccer and baseball, some of these kids are playing 60 to 80 games between April and August. The pros don't even do that. 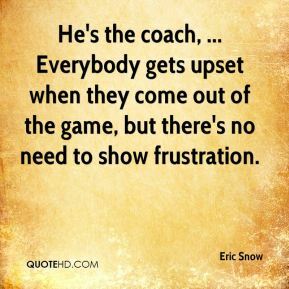 He's the coach, ... Everybody gets upset when they come out of the game, but there's no need to show frustration. He's the glue that holds us together. He does all the dirty work. 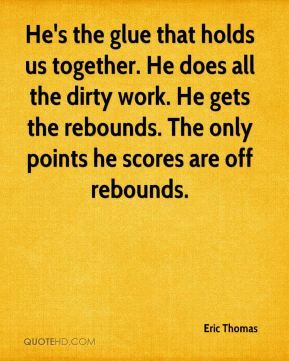 He gets the rebounds. The only points he scores are off rebounds. 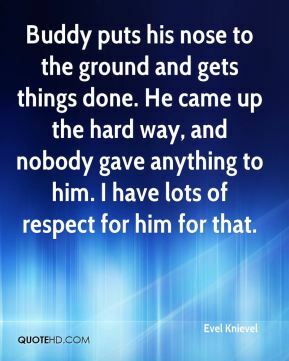 Buddy puts his nose to the ground and gets things done. He came up the hard way, and nobody gave anything to him. I have lots of respect for him for that. 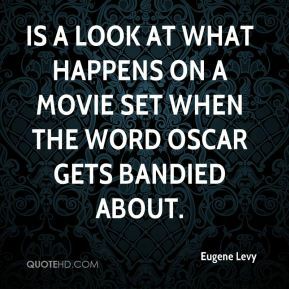 is a look at what happens on a movie set when the word Oscar gets bandied about. It hurts, but you've got to move on and keep playing. 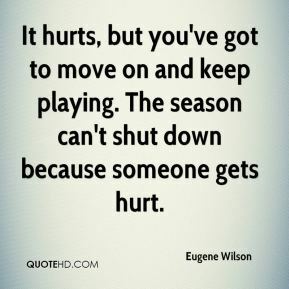 The season can't shut down because someone gets hurt. 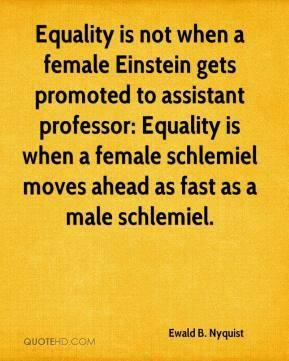 Equality is not when a female Einstein gets promoted to assistant professor: Equality is when a female schlemiel moves ahead as fast as a male schlemiel. 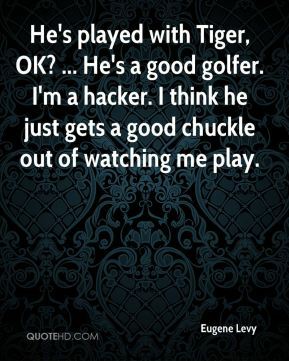 He's played with Tiger, OK? ... He's a good golfer. I'm a hacker. I think he just gets a good chuckle out of watching me play. 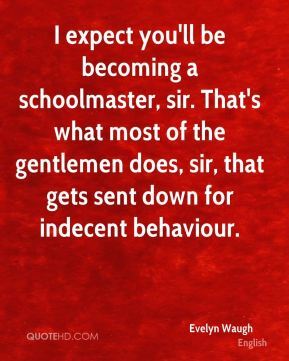 I expect you'll be becoming a schoolmaster, sir. That's what most of the gentlemen does, sir, that gets sent down for indecent behaviour. I planned on being here all along. This is mandatory. This is where I want to be. Hopefully, something gets done. I don't regret anything I did. 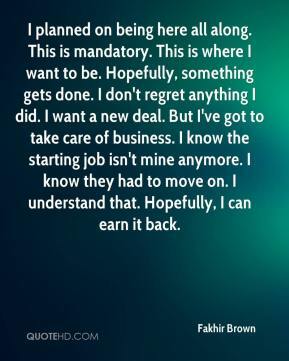 I want a new deal. But I've got to take care of business. I know the starting job isn't mine anymore. I know they had to move on. I understand that. Hopefully, I can earn it back. 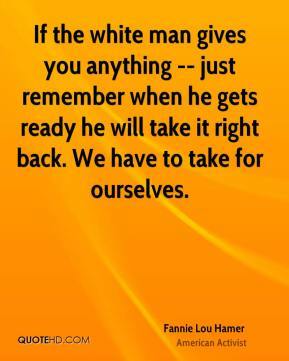 If the white man gives you anything -- just remember when he gets ready he will take it right back. We have to take for ourselves. 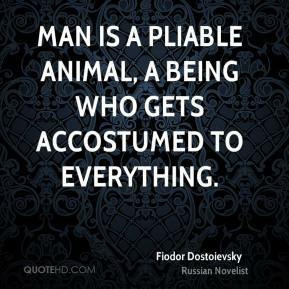 Man is a pliable animal, a being who gets accostumed to everything.